Neutering is an elective surgical procedure performed on female cats and dogs. The procedure involves surgical removal of the testicles in order to sterilize and to promote key preventative health care for your pet. Neutering will not have any effect on your pet’s personality. Neutering has numerous medical advantages including prevention and/or lower risk of both testicular and prostate cancer. Neutering your male pet can also provide behavioral benefits. After being neutered, your pet’s testosterone levels are decreased within their system. Because of this decrease in testosterone levels, neutering may reduce aggressive behavior. It may also decrease the likelihood of your pet mounting people, other animals, and other objects. Males are also less likely to mark their territory through urination and they may not wander off as much in search of a potential mate. 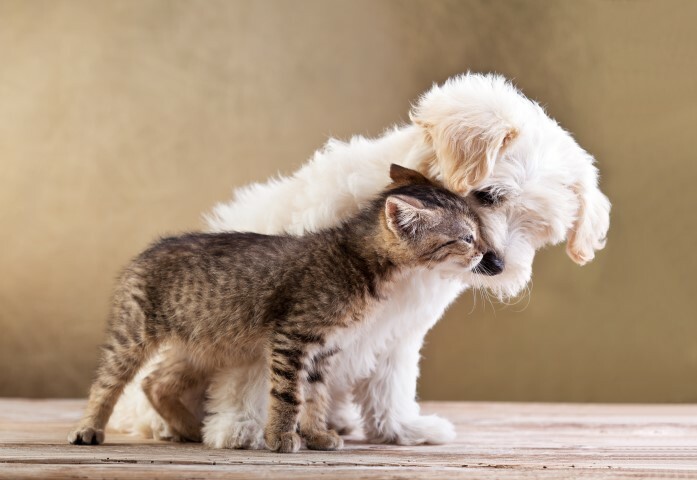 Finally, neutering your pet can also be financially beneficial as you will not have the responsibility for any unplanned litters or unexpected surgical costs. We recommend neutering males between 7 and 12 months of age (depending on breed and size of dog). Neutering should only be performed by a licensed, experienced professional. At DeWinton Pet Hospital, Neutering is performed by Dr. Maros Pazej any day from Tuesday to Friday. Typically, your pet will go home that same day, unless indicated otherwise by one of our team members. We would ask that you bring your pet to the clinic between 8am and 9am, unless another specific agreement has been made. At this time, we will go over the treatment plan with you for your pet’s surgery. This treatment plan will include total cost (with a low and high end that will be explained to you in detail), as well as consent forms to be signed.